IBM Notes Email Archiving Solution - What Is ReduceMail Pro Archive? 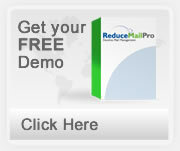 What Is ReduceMail Pro Archive? ReduceMail Pro Archive is an advanced mail archiving system for the IBM Notes administrator that reduces excessive email through a centralized archiving and removal process. ReduceMail Pro Archive archives selected mail from the IBM Notes mail databases and places them in one or more IBM Notes archive databases leaving small archive stubs in the primary mail databases. Users can then access all mail, archived or not, unassisted from within the IBM Notes mailfile. ReduceMail Pro Archive can also simply remove mail and/or attachments or move or remove mail from particular folders and views. Going beyond native IBM Notes archiving, ReduceMail Pro Archive has three unique features that give end users maximum access to archived mail with minimum intervention by the IBM Notes administrator. First, ReduceMail Pro Archive, after performing the archiving process, preserves the original structure of the user's mailbox keeping its views and folders intact. Second, ReduceMail Pro Archive allows end users to seamlessly move between current and archived mail within the interface of the regular mailbox. Third, the end user can search mail, archived or not, in a single search from within the IBM Notes mailfile. reduction of backups by as much as 85% from mail archiving. reduction of time needed for updall and compact server tasks. ReduceMail Pro Archive allows you to choose the archiving and removal parameters by permitting processing according to IBM Notes organization, IBM Notes organizational unit and IBM Notes group (can be as large as you want - no IBM Notes limit here! ), mail directory, folder name, document age, size of IBM Notes mailfiles, and document size. It also allows you to exclude mail according to IBM Notes organization, IBM Notes organizational unit and IBM Notes group, mail directory, or folder name from being processed for maximum flexibility. It allows you to decide during what time interval, which day(s) in the week, which week(s) in the month and which month(s) in the year the document processing will take place. ReduceMail Pro Archive allows you to get IBM Notes mail file properties, count documents covered by a proposed mail retention policy, delete documents, delete attachments and archive documents. It also allows you to move documents to a folder of your choice, allowing you, the administrator, and the individual users to work together to reduce email overload and comply with email retention policies. If you choose, ReduceMail Pro Archive will notify all users on the system that old mail will be processed, giving users an opportunity to take action but at the same time keeping control over the processes in your hands. Reduce backup time by as much as 85%. ReduceMail Pro Archive helps reduce backup time. If you archive once every month, you backup the archives (the majority of the mail content) only once a month and may reduce the backup time by as much 85%. You can cut down on the time needed for various mail server tasks. You do not need to run updall on the ReduceMail Pro archives and you can limit compacting of the ReduceMail Pro archives to perhaps once a year since they do not accumulate much white space. ReduceMail Pro Archive allows you optionally to move old documents from the processing intensive inbox to another folder. This reduces server load and improves server performance. ReduceMail Pro Archive preserves flexibility and future choice. If the mail management priorities of the organization change in the future, you can reverse the archiving process and recreate the original IBM Notes mailfiles at any time using an optional reversal process. Thus your organization is not "locked in" to the ReduceMail Pro archiving structure. Avalon Business Systems Professional Services can reverse native Lotus Domino archiving if enabled in your organization and return the content back into the IBM Notes mail files. This consolidates all old IBM Notes archives in one place, making it easier for the IBM Notes administrator to search and backup archive data. ReduceMail Pro Archive helps contain storage costs by allowing you to archive IBM Notes mail files to two IBM Notes archives over two time intervals. Depending upon your mail retention policy and retrieval requirements, one or both IBM Notes archives can be stored on lower cost media, which can significantly reduce costs. For those administrators concerned about mail in local mailfile replicas or in IBM Notes mailfiles with soft deletions turned on, ReduceMail Pro Audit offers optional Kill-It-Dead technology and hard deletes to outsmart your most sophisticated users and increase the likelihood that the deleted mail is gone for good. ReduceMail Pro Archive gives you control over the agents and the quotas as well as the levels of owner access to the IBM Notes mailfiles and the various parameters of that access. All archived mail is consolidated into separate IBM Notes databases. This will help you identify problems with the mail system and problem system users, as well as respond to document search requests such as FOIAs and subpoenas. ReduceMail Pro Archive also allows you to track which mail databases may have IBM Notes archiving set up and the location of these archives. ReduceMail Pro Archive helps prevent future mail build-up by monitoring your mail system and informing you about the size of your IBM Notes mail files, the number of documents over a certain age, and the average time it takes to open users’ mail documents. The reporting features include almost all user mail file information you can think of including whether the user has their own archiving enabled! ReduceMail Pro Archive allows the administrator to set up quotas for mail and primary archive files which do not impact the end user. For example, the IBM Notes mail file content can be set to 200 megabytes and the primary IBM Notes archive to 5 gigabytes and all other mail can be deleted or moved to tape. The end user can always send and receive mail. ReduceMail Pro Archive makes mail retrieval easy for the user and, by extension, for the IBM Notes administrator with our all-in-the-mailfile access to mail whether it is archived or not. The user can open up the archived document from the IBM Notes mail file similar to how he or she would open up a non-archived document without having to go into the IBM Notes archive database. ReduceMail Pro Archive gives the user a single folder structure to maintain. There is no need to worry about whether mail and archive folders are synchronized. ReduceMail Pro Archive technology allows users to perform a simultaneous full text search of the IBM Notes mailfile and primary archive from the mailfile without the need to go to the archive database. Users can often find ways to create archiving confusion. They will archive the IBM Notes archives, creating circular archiving. Or they will respond to archived mail and be unable to locate the new message. ReduceMail Pro Archive cuts through the confusion by eliminating direct access to the archive, thus limiting user error and reducing support calls to the IBM Notes administrator. Is ReduceMail Pro Archive better than regular IBM Notes archiving? Yes by far. Your users will not have to click open up another database in which the archived documents are separated. They only have to maintain a single folder structure. New responses to old archive documents will be stored in the IBM Notes mailfile. They won't be able to archive the IBM Notes archive. Is ReduceMail Pro Archive easy to use? Yes. Our developers have made every effort to make ReduceMail Pro Archive simple and user-friendly in every way, from the basic user interface to the selection of features. We know your time is valuable and we treat it as such. Does ReduceMail Pro Archive solve the regular IBM Notes archiving problem of users sending mail from the IBM Notes archive and having the mail show up in their archive instead of in their regular IBM Notes mail database? Yes. Any archived mail forwarded or replied to will be stored in the regular mail database. Which date does ReduceMail Pro Archive use to determine which mail will be archived? The date the users see in the mail database views. There is no confusion. Does ReduceMail Pro Archive work with Webmail and iNotes? You can retrieve archived messages using the IBM Notes client, Webmail or iNotes. Does ReduceMail Pro Archive use the real-time Name & Address Book? Yes. As soon as you change the person or group documents in the Name & Address Book they are available for use by ReduceMail Pro. How many databases does ReduceMail Pro Archive consist of? One process database and one log database. Does ReduceMail Pro Archive run on AS/400, AIX, UNIX or Linux platforms? Yes - it is compatible with ALL platforms on which Notes runs. Is ReduceMail Pro Archive compatible with IBM Notes R9? Yes. The current version runs on R6-R9 and automatically adjusts its processing to the IBM Notes version. Does ReduceMail Pro Archive remove to do items? Yes. ReduceMail Pro Archive removes to do list items separate from mail documents. The date ReduceMail Pro Archive uses can be either the due date or the completion date. Does ReduceMail Pro Archive manage the access of the IBM Notes mail database owners? Yes it does. Is ReduceMail Pro Archive compatible with clustering? Yes. Can I have ReduceMail Pro Archive run only on particular days of the week? Yes. ReduceMail Pro Archive can be set to run only on weekends or other particular weekdays. It can also be set to run on particular weeks and months during the year for maximum flexibility. Can I have ReduceMail Pro Archive run in particular time intervals? Yes. ReduceMail Pro Archive can be set to run during any time interval you specify and the interval can be different for different policies. What if ReduceMail Pro Archive times out? It will continue next time from where it left off until it is finished. Does ReduceMail Pro Archive handle Shared Mail? Yes. It will archive the headers in the users' mail databases. Can I make sure that ReduceMail Pro Archive does not affect the documents of selected users such as executives? Yes. Just specify an IBM Notes group with those users and tell ReduceMail Pro Archive you want them excluded from the removals. Where do I find the instructions for installing ReduceMail Pro Archive? The instructions for installing ReduceMail Pro Archive are in the Help - Using This Database document that comes with the system. Notice that it includes useful information such as total disk space taken up by the IBM Notes mail databases specified and how long, on average, it took the server to open up the mail databases. In addition to Processing Reports, ReduceMail Pro Archive also generates Individual Processing Reports. They include the granularized information which is useful to identify individual abberrations such as individual IBM Notes archives, large sized mail databases and whether mail forwarding is in place. ReduceMail Pro Archive is designed for a multi-server Lotus Domino environment. It uses LotusScript based agents and runs on all Lotus Domino platforms. It works with Lotus Notes versions R6-R9 and will be compatible with future Lotus Domino software one month after gold releases. You can archive from one Lotus Notes mail server to another Lotus Notes server (mail or utility server) or, via a directory link, from one Lotus Notes server to a linked SAN/NAS/drive mapping on the same server. ReduceMail Pro Archive is platform independent and has been tested on Windows, Linux, Unix and AS/400 servers. Below are some examples of how ReduceMail Pro Archive might save your organization time and money. Sometimes the organization is affected and sometimes the IBM Notes administration is affected. Here are possible scenarios for 10,000 users. If the average user's IBM Notes mail file is 300 megabytes and you archive 80% of the mail file space, it translates into a saving of 2.4 terabytes. If your mail-server storage costs $70 per gigabyte per year and the cheaper archive storage is $20 per gigabyte per year, the savings is $120,000 per year. Suppose your mail-server goes down and IBM Notes mailfiles becomes unavailable due to a 3 hour consistency check. If 80% of the mail file space is archived, the consistency check should take only 36 minutes. If the productivity loss corresponding to a non-functional mail server is 10%, and the average hourly cost of a staff member is $25 then the total savings per server crash is $60,000. Better organized archive than regular IBM Notes archiving. Users rely heavily on their mail databases for historical information. The better this historical information is organized, the greater the chance that the information will be searched, the higher the chance the information will be found and the faster it will be found. If this translates into a 0.1% more efficient workforce, you would save 2 hours per year per user. At an hourly cost of $25 per staff member this comes out to $50 per year per user. For 10,000 users this is $500,000 per year. Reduce software license cost by identifying dormant IBM Notes mail files. If your mail system includes 5% dormant accounts and the cost of a Notes maintenance license is $35 per year, this feature will save you $15,000 per year.